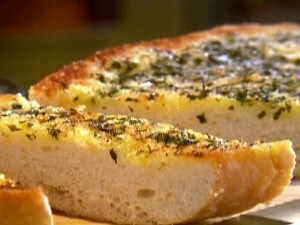 Garlic Bread recipe by hotline_hl at PakiRecipes.com. Butter or Margerine 1/2 cup . Garlic powder or crushed 1tbsp. Cut the French bread lenght wise. Mix the butter and dried ingredients. Now generously apply on the both sides of the loaf. Place bread in oven when heated. Remove from oven when the bread gets golden brown.